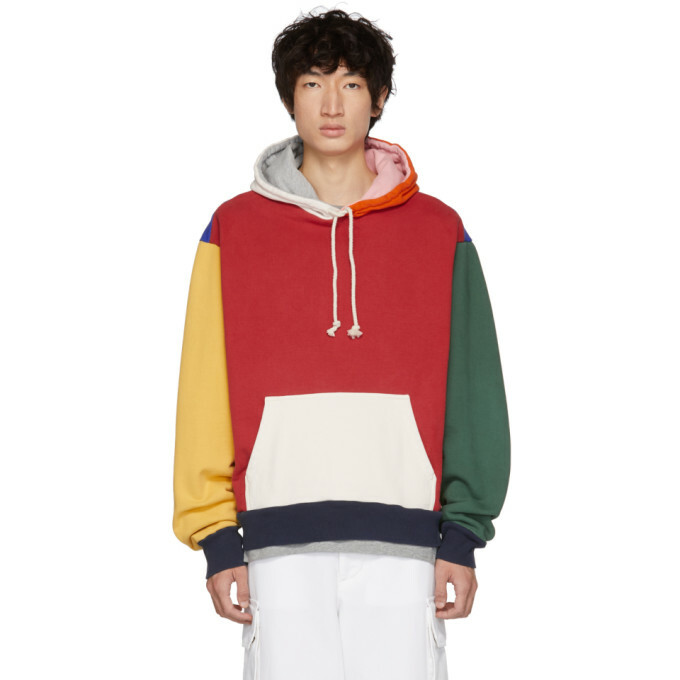 Long sleeve French terry hoodie colorblocked in multicolor. Drawstring at hood. Kangaroo pocket at waist. Rib knit cuffs and hem. Tonal stitching. 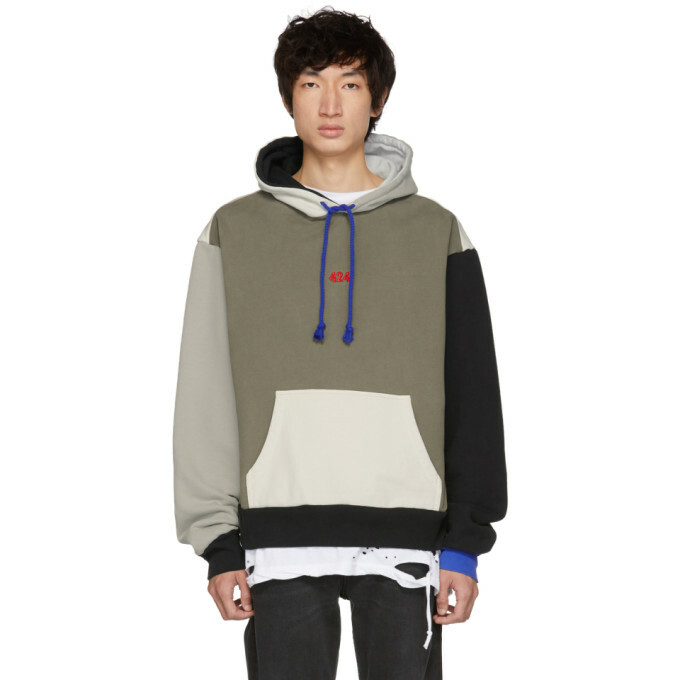 Long sleeve French terry hoodie colorblocked in tones of 'multi' grey. Drawstring in blue at hood. Embroidered logo in red at chest. Rib knit cuffs and hem. 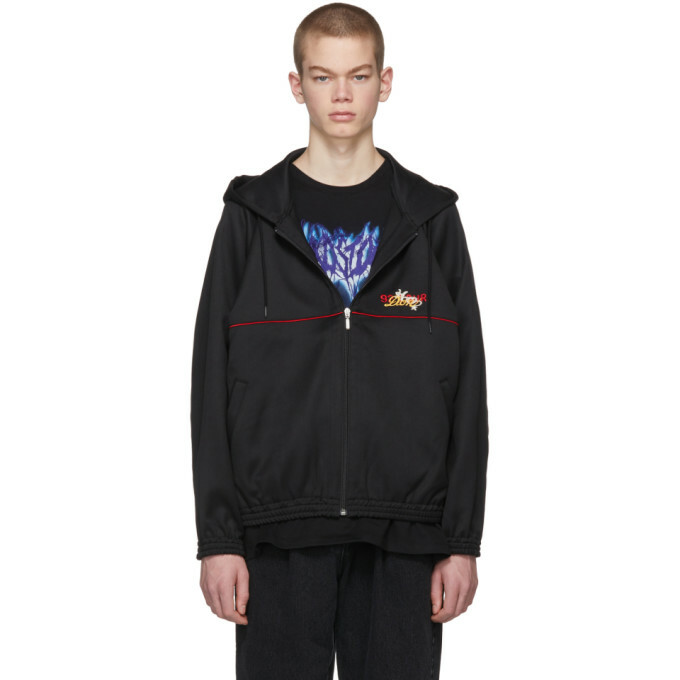 Tonal stitching.Available exclusively at SSENSE. 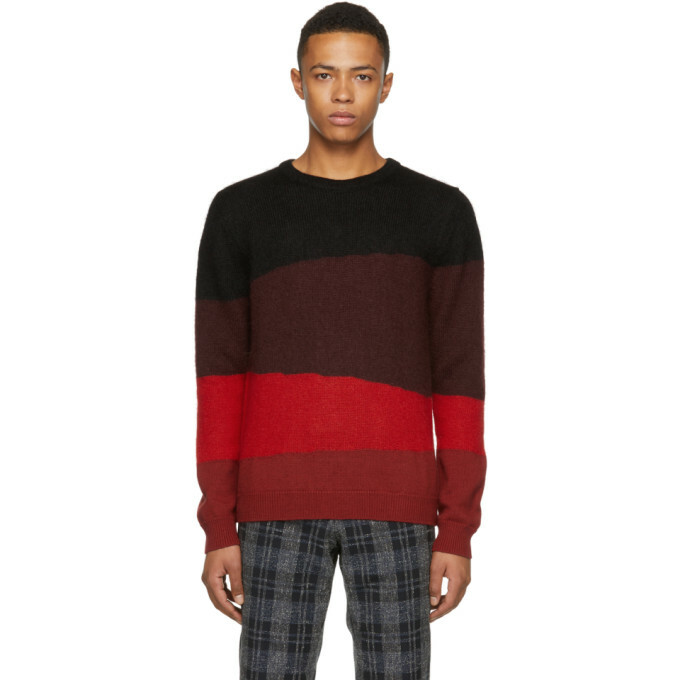 Long sleeve knit wool and mohair-blend sweater colorblocked in tones of red and black. Rib knit crewneck collar, cuffs, and hem. Tonal stitching.